Step out of boring and into these Fila Vulc Plus Mid casual shoes. This style features a faux leather upper with a high-top design. 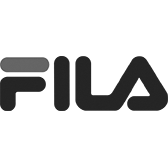 The Fila Vulc Plus Mid casual shoes have a padded tongue and collar for ankle support.